A parliamentary report of 1777 recorded a parish workhouse in operation at Launceston with accommodation for up to 40 inmates. 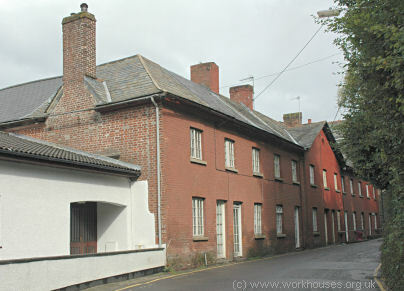 A building on Dockacre Road in Launceston, originally built as a prison, later served as a workhouse and almshouses. a scene of filfth, rags, and wretchedness, presented itself... The large room below stairs has a mud-floor; and whole families, men, women, and children, pig together. The upper room had several bedsteads in it, with the most ragged and dirty bedding I ever saw; the windows very small and close, the want of ventilation and decent cleanliness produced a stench almost insupportable. I was in the room but a few minutes before I was seized with sickness, which obliged me to withdraw. Cornwall: St Mary Magdalen (4), St Stephen's with the Borough of Newport (2), St Thomas the Apostle, St Thomas Street, Alternon [Altarnun] (3), Boynton, Egloskerry (2), Lawhitton, Lewannick (2), Lezant (2), Laneast, North Hill (3), Stoke Climsland (4), South Petherwin (2), Tregmeer, Tremaine, Trenegloss, Trewen, Warbstow. Devon: North Petherwin (2), Warrington (2). The population falling within the Union at the 1831 census had been 14,841 — with its parishes ranging in size from Tremaine (population 118) to St Mary Magdalen (2,231). The average annual poor-rate expenditure for the period 1834-36 had been £6,297 or 8s.6d. per head of the population. 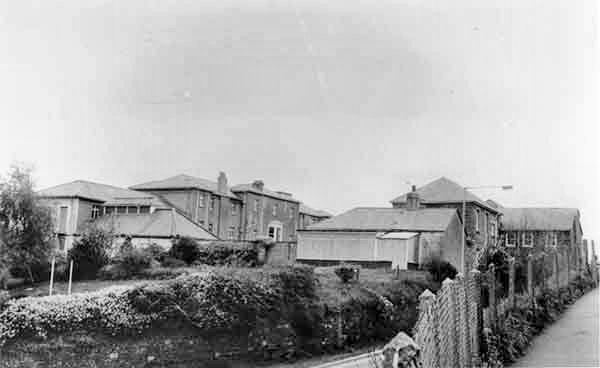 Launceston workhouse main building and infirmary from the north-east, date unknown. The entrance range at the south contained the board-room, probationary wards and a chapel. The main block was located at the centre of the site, with females placed at the east side and males at the west. Adults were housef on the north side of the building, while children were at the south side, facing towards the entrance block. An infirmary block lay at the north of the main building, backing on to Hurdon Road. Aftre 1930, the workhouse became a Public Assistance Institution. It then became known as Page's Cross Hospital, later renamed St Mary's Hospital. All the former workhouse buildings have been demolished and the site is now occupied by a supermarket. Launceston former workhouse site from the west, 2001. Cornwall Record Office, Old County Hall, Truro, Cornwall, TR1 3AY. Few records survive — holdings include Guardians' minute books (1890-94, 1908-30); Inmate lists (1840-44); Ledgers (1890-1927); Relief order book (1930). 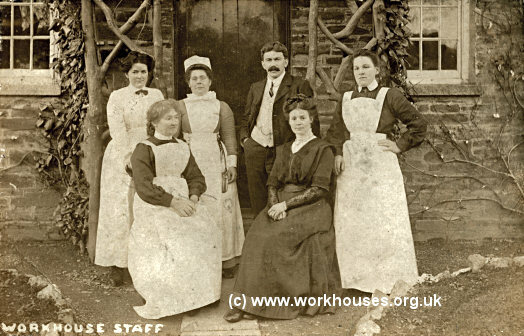 Ancestry has Workhouse Admission and Discharge Records (1839-72).